Women around the world have responded to Cara Alwill Leyba's Girl Code with a resounding YES. Companies like Kate Spade and Macy's have brought her in to teach "the Code." Inc. magazine named Girl Code one of the "Top 9 Inspiring Books Every Female Entrepreneur Should Read" alongside Lean In , #Girlboss , and Thrive . A few years ago I made a crazy claim in the first edition of Girl Code that in today's competitive marketplace, the fiercest thing a female entrepreneur can do is to support other women. Something dynamic happens when women genuinely show up for each other. When we lose the facades, cut the bullsh*t, and truly have each other's backs. When we stop pretending everything is perfect, and show the messy, beautiful parts of ourselves and our work--which all look awfully similar. When we talk about our fears, our missteps, and our breakdowns. And most importantly, when we share our celebrations, our breakthroughs, and our solutions. I'm convinced that there's no reason to hoard information, connections, or insight. Wisdom is meant to be shared, so let's start sharing what we've learned to make each other better. Let's start building each other up. Let's live up to our potential and start ruling the world. 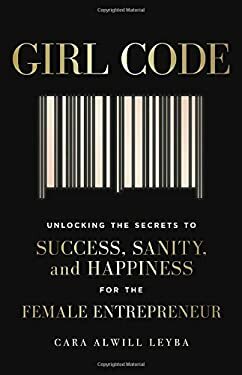 Girl Code is a roadmap for female entrepreneurs, professional women, "side hustlers" (those with a day job plus a part-time small business), and any-one in between. This book won't teach you how to build a multimillion-dollar company. It won't teach you about systems or finance. But it will teach you how to build confidence in yourself, reconnect with your "why," eradicate jealousy, and ultimately learn the power of connection. Because at the end of the day, that's what life and business are all about.